It is much better to prospect brands and find appropriate contacts at a parent account, and not such a strong suit for agencies. Provides email addresses - essential when doing cold email outreach. Provides agencies for each brand/company. Provides media spend for parent company and brand. Winmo provides up-to-date information on company executives leaving and joining Fortune 500 organizations. Winmo is updated by a team of humans that are accurately depicting insights based on the organizations that Winmo highlights in the daily recaps/insights section of the portal. This means the insights are more accurate and kept up-to-date compared to other data intelligence platforms. Winmo breaks down the media/ad spend for most companies, as well as information on company revenue and size. This is particularly helpful when evaluating whether a company falls into our ideal prospect profile. Updating who works on each brand from the brand side. Updating who works on each brand from the agency side. Not having to log in as often. Winmo's contact information is not always accurate. There are a limited amount of verified contacts per company. Winmo is a great resource for traditional ad agencies, with most of the daily insights be catered towards opportunities to become an AOR for a big consumer brand. For digital-specific agencies like our company, this is less helpful. 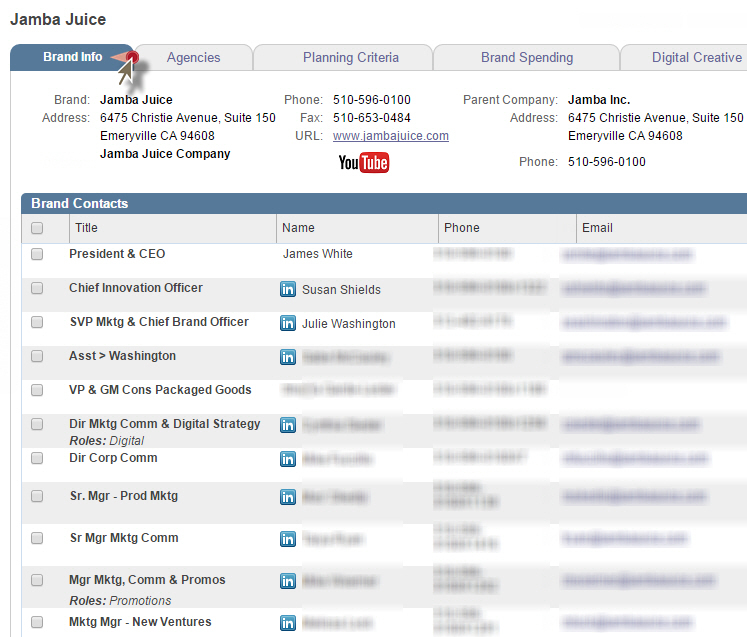 Winmo allows more dynamic and functional searches, and puts agency and brand contacts in one place. It also allows exports based on spend and in general, is much more dynamic of a software. Improved efficiency of finding emails and email syntax. Profiles featuring targeted media, marketing and sponsorship decision-maker lists. 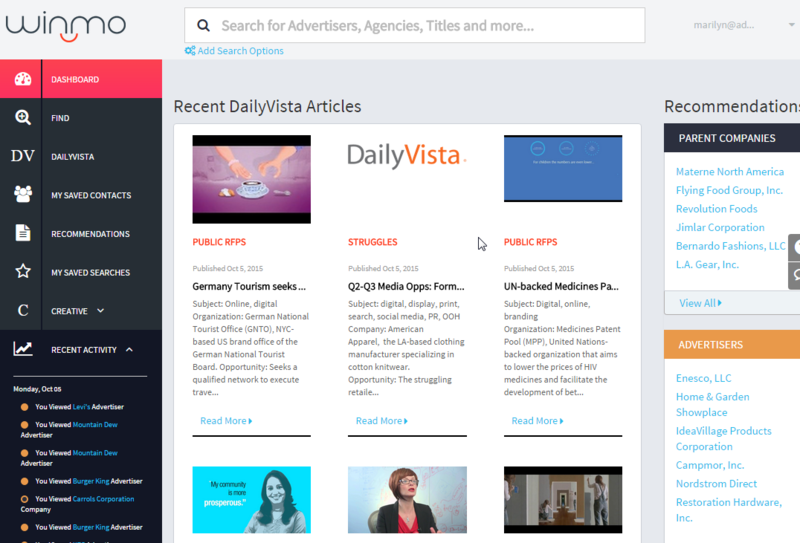 Discover emerging business opportunities with integrated DailyVista news and forecasting.